Unique and innovative, this NZ-designed and built system uses the Microsoft Surface Pro tablet to meet all user access requirements in office and industrial environments. With this unique hardware there’s no need to shake things up to ensure your registration system can suit everyone – it’s got all the flexibility needed to twist and shout (then work it on out). Designed and manufactured in NZ, the Flex provides supreme usability. The stem is made of tough metal alloys and stays put once moved into place. This ensures the Microsoft Surface Pro, Honeywell barcode scanner and Brother label printer can be easily used by both visitors standing and in wheelchairs. We’re proud of its good looks too. The brief to design agency Blender was for a perfectly balanced piece of office furniture that could blend in and, when needed, stand out. With a customisable front the Flex looks good in the office and the fully enclosed construction also makes it perfect for tough industrial environments too. You asked and we searched high and low to find a tablet that delivers the robust performance a 24/7 system needs. The answer is the Microsoft Surface Pro 4. The Surface has all the running power of a PC, but is about the same size as an A4 piece of paper and less than 10mm thick. 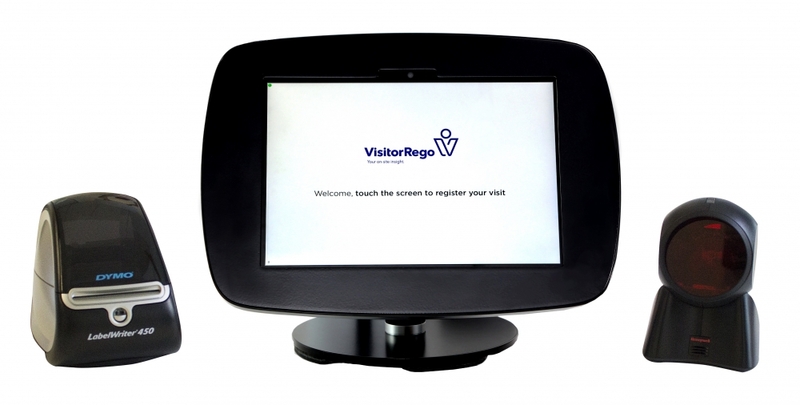 Combined with the 10 point multi-touch technology the Surface was almost designed to deliver the compact visitor registration you’re looking for. The Dymo printer and Honeywell scanner are the reliable sidekicks to the Surface. As the Dymo is a thermal printer the only consumables you have to worry about are the labels. And the omnidirectional lasers of the scanner make signing in or out with a barcode a breeze. For even more ease of use and security the Surface is housed in a Bouncepad case on a flexible neck. This allows the screen to be tilted up and down so you’re providing a convenient platform for any user no matter their height, or the height of the counter. The Microsoft Surface Pro is set at a comfortable height for standing while the label printer and scanner are housed in the pedestal (along with a waste bin). To make things even easier we supply a Brother label printer. 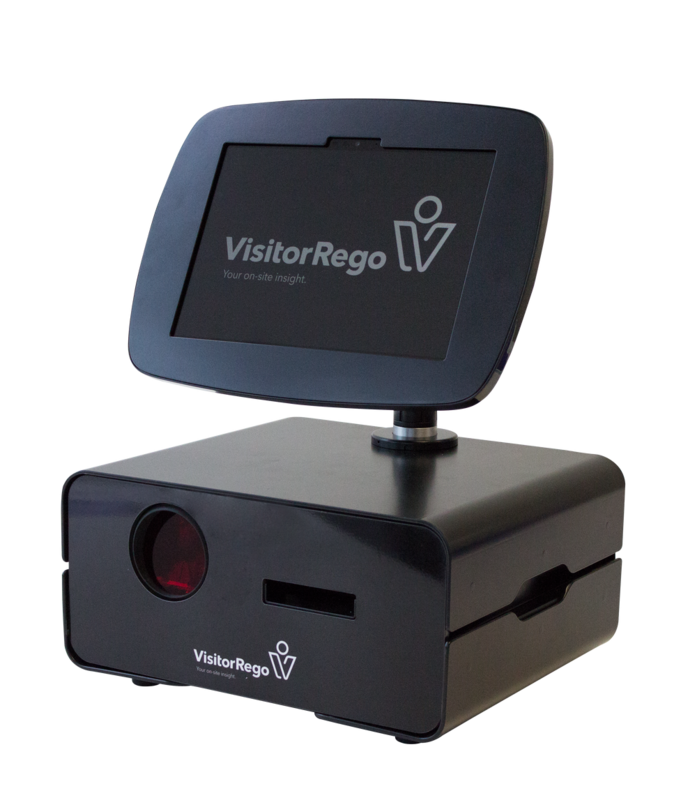 This automatically cuts the label after printing to ensure your visitors have a quick trip through registration and onto the business at hand. The kiosk housing can also be customised to your needs. A vinyl skin can be applied to the front panel or the entire housing to fit. So you can add the company logo and colours or even match it to an interior design feature.